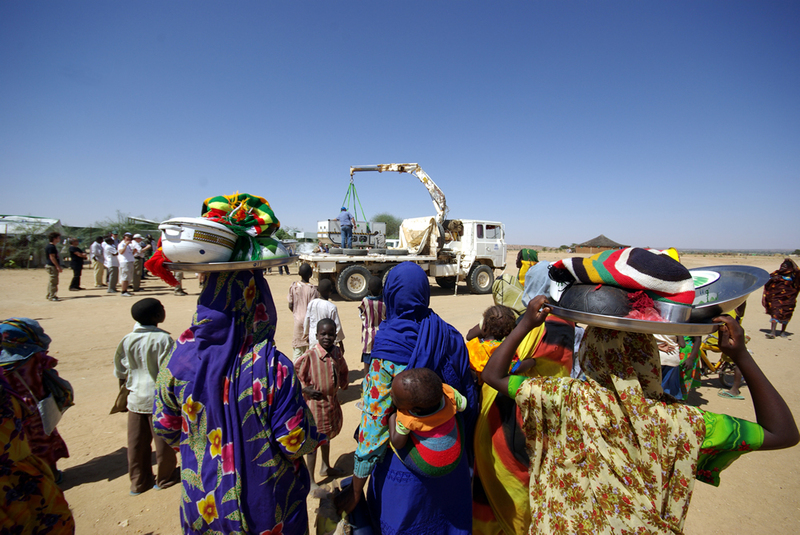 The Emergesat humanitarian relief container was dispatched last week on its 1st operational mission to Chad, where it will be used for at least 3 months at a camp for Darfur refugees. Roissy Charles de Gaulle airport, 17 November, 6.00 a.m. A contingent of soldiers is boarding the French government plane for N'Djamena and Libreville. In its hold, the aircraft is carrying the 1st Emergesat humanitarian relief container ready to be operated in the field by French doctors and engineers. The bumpy ride is all part of “breaking in” the container on its debut mission, since it is designed to withstand tough handling during disaster-response operations. 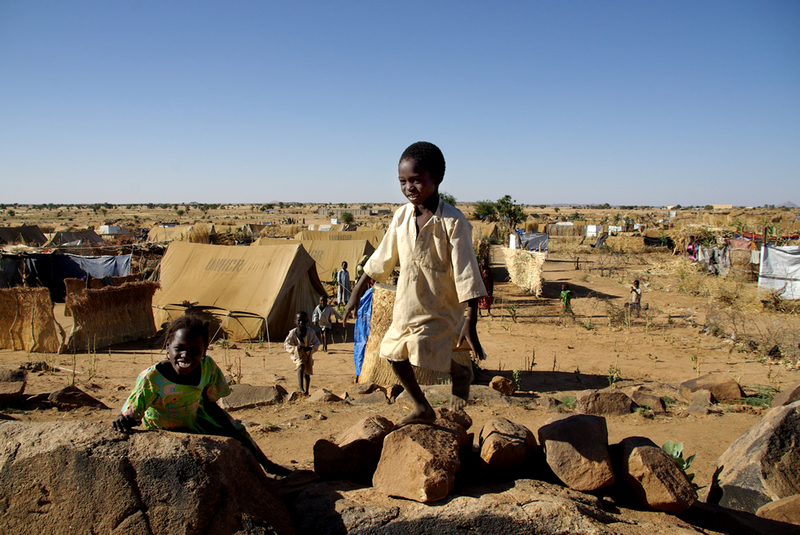 The camp is currently home to between 12,000 and 14,000 Darfur refugees, living under tents with basic cooking utensils and drinking water supplied through a pumping, treatment and distribution network set up by the United Nations High Commission for Refugees (UNHCR). 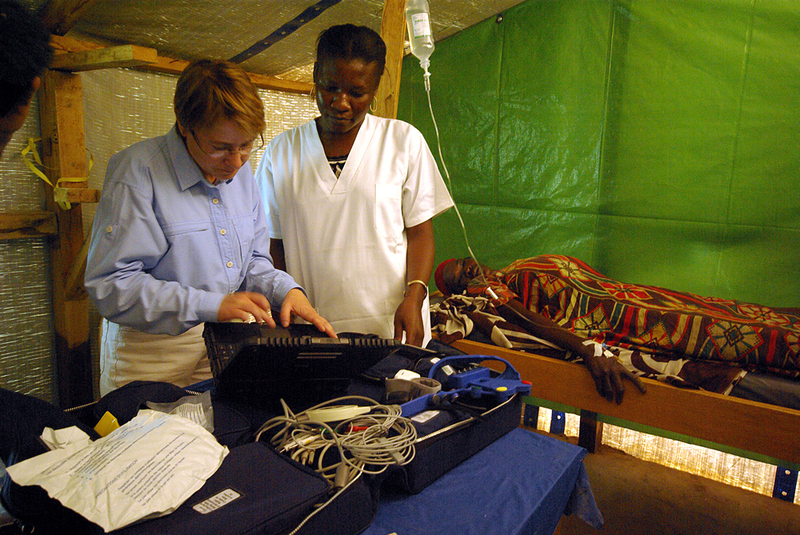 On site, a field hospital and maternity clinic deal with patients. Emergesat’s key strength is its ability to restore communications where networks are damaged or down in less than an hour, thereby providing telephone, Internet, videoconferencing and data transfer links. It also sets up local WiFi, VHF or GSM networks to facilitate coordination between relief teams and—where its mission dictates—includes a telemedicine kit and special equipment to count victims, as well as mapping software. Once the container is up and running, teams jump into action to measure water quality, acquire GPS position fixes and perform the first medical examinations: on its arrival, a woman has just been admitted with a high fever. All these measurements are relayed back to the container, where the 1st videoconference link is set up. Because behind the words and pictures, large volumes of data need to be transferred to support relief efforts, supply logistics and provide medical assistance. The French humanitarian foundation Casques Rouges develops innovative technologies designed to support NGOs. It has acquired 2 Emergesat containers, one for crisis response and the other that has been deployed for UNHCR in Chad for the next 3 months at least. After its first few days in the field, the container has already validated the concept and identified necessary improvements in terms of robustness (resistance to vibrations, temperature and dust) and performance. Ultimately, Emergesat is designed for dispatch to emergencies and disaster areas. 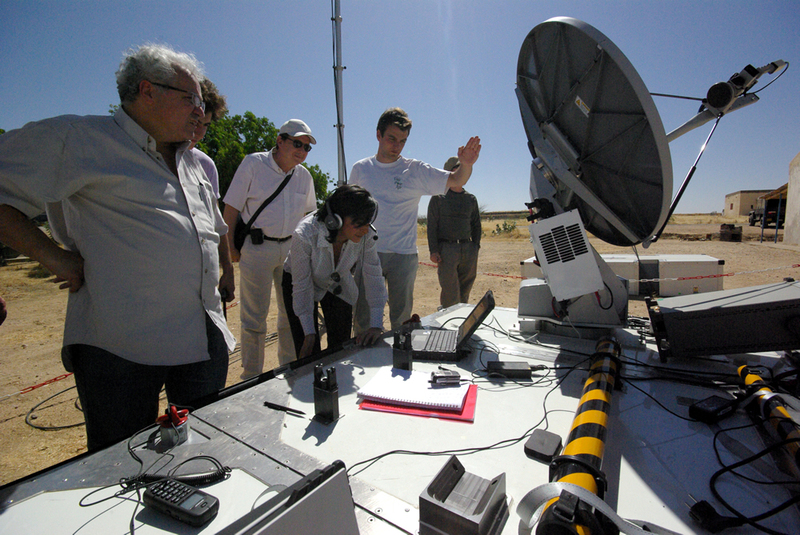 Emergesat was developed by Thales Alenia Space for the French humanitarian foundation Casques Rouges, with applications, engineering and promotional support from CNES.